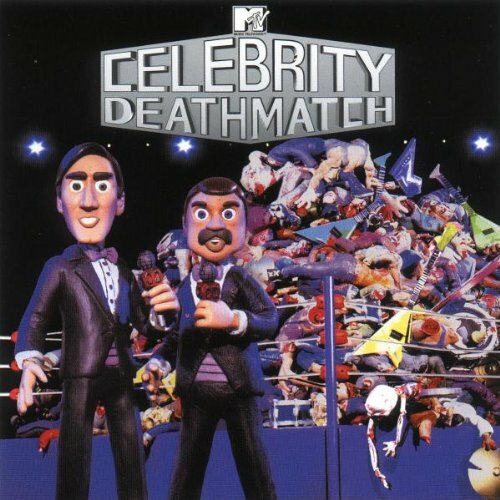 MTV Studios formed in June 2018 and quickly announced plans to reboot network classics such as Aeon Flux, The Real World, Daria and - great news for the stop motion community - a fresh take on Celebrity Deathmatch. The show’s first run of 75 episodes originally aired from 1998 to 2002 and saw claymation versions of famous people airing out their grievances in a mix of wrestling, boxing and MMA-style fighting. Uploaded by YouTuber Antonio Volante. Creator Eric Vogel will executive produce the latest version of Deathmatch along with Ice Cube and his production company Cube Vision. A Claymation Ice Cube will also appear in the show, and not for the first time since Ice Cube and Ice T two faced off in a frozen rapper battle during the original run. Look for the debut in 2019 on MTV and on streaming services. Christian Madsen is looking for your help. He and his wife Abigail are teaming up to create a wonderful nature inspired stop-motion short. Christian will lends his talents to the writing, designing, animating and editing. Abigail will be creating the music and also contributing to the script. Christian plans to record actual audio clips from nature rather than use stock audio files. This will lend even more to the originality of his vision. He has turned to Kickstarter to gain followers and financial support for the project. Read below to find out more about the story, click the Kickstarter link at the bottom to go directly to Christian's page and check out his Kickstarter video. 'The Emerald Deep is a 12 minute stop-motion animation short film about a tree-boy named Elpie. After being swept away in a river, young Elpie must fend for himself in a dangerous forest. He is timid but resourceful, and over time he builds a secure house for himself in the woods. Elpie is content, but still longs to return to his family. Disaster strikes when an evil moose shows up and relentlessly harasses and attacks Elpie, and chases him out of the forest. Elpie escapes, but finds himself in a dark, gloomy and terrifying landscape that's haunted by a haggard wolf. One of the things we love about stop-motion is that anyone can do it just about anywhere!!! Jack Johnson's "My Mind is For Sale" is a perfect example of this idea. He used his iPhone, an animation app and the help of his kids to create a stop-motion piece. In the video he builds up his lyrics written on blocks and then knocks them down. You can watch the video, read about the project and learn more about Johnson's up coming album by checking out Rolling Stone's article here. An American Girl Story: Summer Camp Friends for Life will debut June 9th on Amazon Prime. Check out more details below. MIDDLETON, Wis., April 27, 2017 /PRNewswire/ -- Lights, camera, action! Today, American Girl brings its popular stop-motion vlogger character, Z Yang, to life for millions of fans who have come to know and love her as the star of the company's popular web series, Z's Crew. Inspired by the American Girl Stop Motion (AGSM) phenomenon, the series has garnered more than three million views on YouTube and continues to draw a large fan base. Z (short for Suzie) is a Korean American hailing from Seattle, and is the latest addition to American Girl's new series of contemporary characters and stories designed to speak to more girls' interests, backgrounds, and experiences. Through Z, girls get to learn more about this creative young filmmaker who loves staying connected with friends and sharing a good story through her stop motion videos. Z's adventures unfold in a two-book series, The Real Z and Z on Location, as well as an Amazon Original Special, An American Girl Story: Summer Camp Friends for Life, scheduled to premiere on Amazon Prime Video on June 9, 2017. Z Yang, an imaginative filmmaker from Seattle, is the latest addition to American Girl's new line of contemporary characters. Z jumps from the screen to beautiful 18-inch doll, featuring long dark-brown hair, warm brown eyes, and a beauty mark on her left cheek. The Z doll comes dressed in her signature outfit, along with the first book in the series. The full Z product collection includes several creatively-inspired doll outfits and accessories that reflect her filmmaking interests, such as a wooden fold-out desk—complete with a chair and several pretend video-making supplies like a laptop and video monitor, as well as her own filming accessories like a camera, smartphone, and tripod, to name a few. The Z books, published by Scholastic and written by author Jen Calonita, introduce readers to Suzie "Z" Yang and her vlog, Z's Crew, which she created to share her passion about stop motion animation and ended up making friends all over the world. Now, she's taking a shot at her dream of becoming a true filmmaker by participating in a film festival documentary contest. Outside of her comfort zone and under the stress of trying to be a real filmmaker, Z loses sight of why she liked making movies in the first place. And, with a little help from her crew, she discovers that to be a real filmmaker, she'll first have to be her real self. Z Online and Digital Play: Girls can visit the Z-dedicated site at americangirl.com/play/zcrew/ for free book excerpts, stop motion and product videos, activities, wallpaper and e-cards, and much more. Z Retail Events: Starting April 27, American Girl stores are hosting Z's Debut Event, where girls will get a first look at her full product collection, plus channel their inner director with a special giveaway, featuring a doll-sized movie clapboard and director visor. Girls will also be able to make their own stop-motion film with a Z-themed paper doll craft. For more details on the in-store events, visit americangirl.com/retail. Amazon Original Special: An adaptation of American Girl's stories about Z, the live-action special, An American Girl Story: Summer Camp Friends for Life, will premiere on Amazon Prime Video on June 9, 2017. The Z collection is available on April 27, 2017, through American Girl's catalogue; at americangirl.com; at all American Girl retail locations nationwide; and at the American Girl brand store at Amazon: www.amazon.com/americangirl. Outside of the U.S, Z products are available at American Girl specialty boutiques at select Indigo™ and Chapters™ in Canada. The Z books can also be purchased through retail and online booksellers. To learn more about Z and other new American Girl characters debuting throughout 2017, go to americangirl.com, Facebook at facebook.com/americangirl, Twitter at twitter.com/american_girl, Pinterest at pinterest.com/agofficial, and American Girl's Instagram page at instagram.com/americangirlbrand. To request an American Girl catalogue, call 1-800-845-0005. American Girl is a premium brand for girls and a wholly-owned subsidiary of Mattel, Inc. (NASDAQ: MAT, www.mattel.com), a creations company that inspires the wonder of childhood. Headquartered in Middleton, WI, American Girl offers an inspiring world of dolls, content, and experiences that nourish a girl's spirit and help develop her strength of character. Best-selling lines include Truly Me™, Girl of the Year™, Bitty Baby™, WellieWishers™, and the classic historical character line BeForever™. The company sells products through its award-winning catalogue, on americangirl.com, in its proprietary U.S. experiential retail stores, and at select specialty retailers nationwide. Outside of the U.S., American Girl products are sold in specialty boutiques at select Indigo™ and Chapters™ in Canada and El Palacio de Hierro locations in Mexico City. By inspiring girls to be their best, American Girl has earned the loyalty of millions and the praise and trust of parents and educators. We Anderson's next project, Isle of Dogs, now has a North American release date of April 20, 2018. This marks the first project for Wes Anderson since The Grand Budapest Hotel, which earned nine Oscar nominations and took home four. Set in Japan, ISLE OF DOGS follows a boy's odyssey in search of his dog. This film also sees a return to stop-motion animation for Anderson. His last stop-motion feature was Fantastic Mr. Fox starring the voices of George Clooney and Meryl Streep. West Jefferson Elementary Art Teacher, Adam Gebhardt, is one of 12 finalists recently nominated for Pennsylvania Teacher of the Year 2018. Gebhardt is using art to create experiences beyond simple drawing or painting. He is ﻿﻿the Program Leader and Grant Writer for SpotEd Media which "implements video as a means for instruction, creative expression, discovery, and developing digital literacy." Gebhardt wrote a grant to acquire tons of Lego bricks which students then used to created stop-motion animation videos. He also worked up a grant to purchase a 3D printer which he has turned in to an online club for students to have access at home. Well done Mr. Gebhardt and we hope you continue to innovate and give opportunities to students!!! Friday's Goldfish Tales Animation Experience event winners have been selected! April 21st gave us the winning 4 video entires in the Pepperidge Farms Goldfish animation contest. The winning videos can be seen above were chosen from 4 different categories: Best Use of Goldfish, Best Story, Best Film by Up and Coming Animators and Best Overall Film. Entries were submitted by the end of February earlier this year and were narrowed down to the top 12 (3 in each category). Congrats to all the winners and finalists! Find out the winners of the Pepperidge Farm Goldfish® Colors Contest tonight! Tonight, April 21, at 7 p.m. EST there will be an animation celebration!!! Back in early January Pepperidge Farm announced an animation contest using their beloved aquatic shaped crackers, Goldfish. Tonight four grand prizes will be awarded in which each recipient will receive $5,000.00. There are currently twelve nominees that received a gift bag consisting of an Animation Xperience cinch bag, Goldfish® Colors crackers, an octopus style portable and adjustable tripod and a Stoopid Buddy Stoodios DVD. To enter the contest, participants had to create a 60-second animated video starring Goldfish crackers and upload it to YouTube. Then in March, all submissions were reviewed by an independent judging committee that included a member of the New York International Children's Film Festival and a Goldfish brand representative. "Best Use of Goldfish" - This award will go to a film that showcases our little smiling movie stars in the most creative or amusing way. "Best Story" - This award will go to a film with the most compelling storyline whether it be funny, dramatic, thrilling—or all three. "Best Film by Up-and-Coming Animators" - This award will go to a film that might not be the most polished, but shows incredible enthusiasm all the same! "Best Overall Film" - This award will go to a film that combines multiple elements (technique, originality, and effort, etc.) resulting in the best overall final product. This evening those 12 nominees will be narrowed down to pick the 4 grand prize winners, one from each category. If you're looking for a fun family Friday night, then tune in at www.goldfishsmiles.com at 7pm. You can also watch the 12 nominees (3 in each category) now!